This spring, we’re giving you the chance to make 2018 the best year ever — by paying nothing! 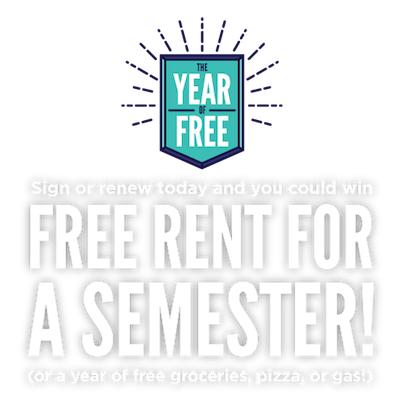 Sign or renew your lease with us, and you’ll be entered to win our grand prize of free rent for a semester, in addition to free pizza, groceries, or gas for an entire year. 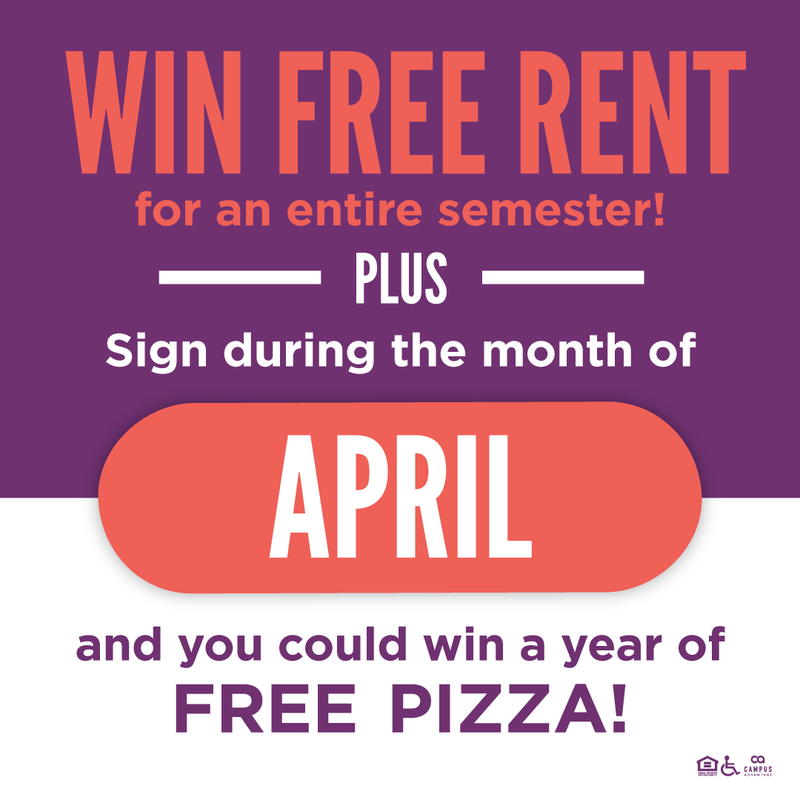 On the last Thursday of April, May, and June, we’ll be announcing the winner of that month’s special prize. But we’ll also be giving away various smaller prizes every Thursday leading up to the big reveal, so don’t miss your chance to score big. The earlier you sign, the more chances you have to win. 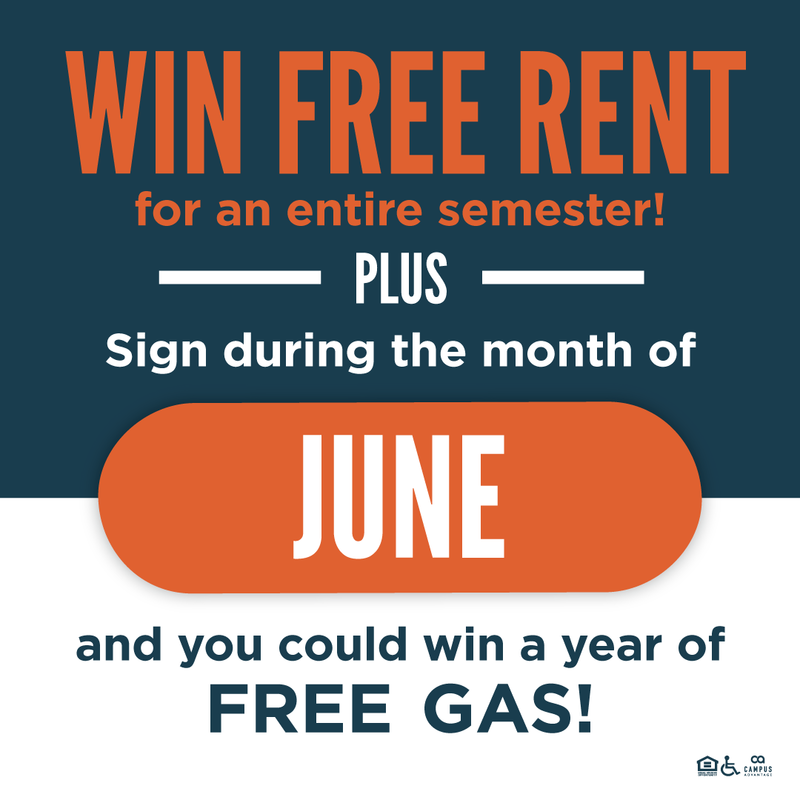 Think about it — you could be announced as the grand prize winner at a special celebration event in July! 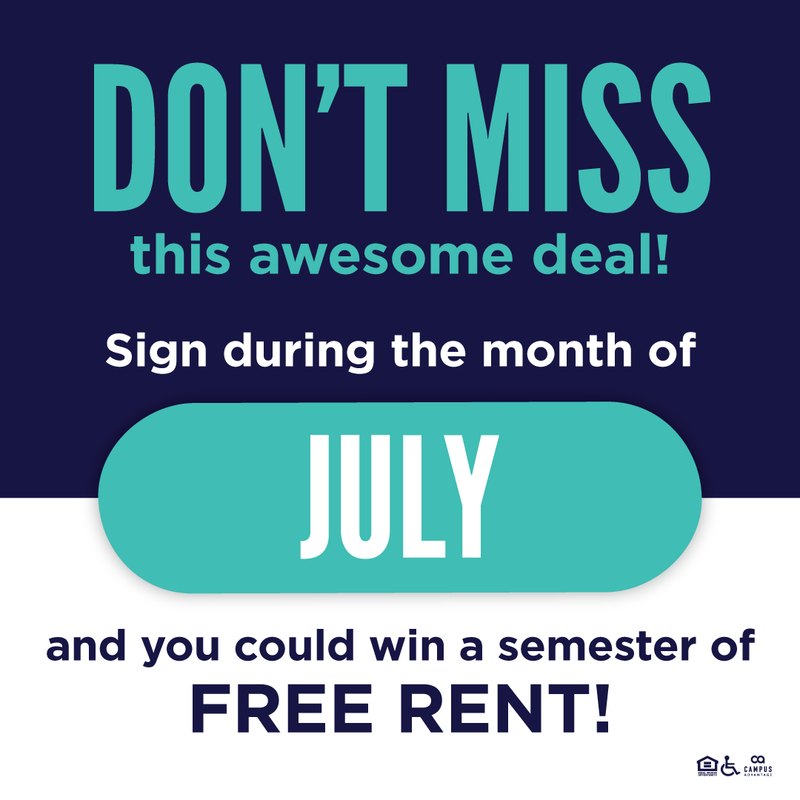 To learn more, text RIVERBENDYOF to 47464, or fill out the form to start your Year of Free! NO PURCHASE NECESSARY TO ENTER OR WIN. PURCHASE OR PAYMENT WILL NOT INCREASE YOUR CHANCES OF WINNING. 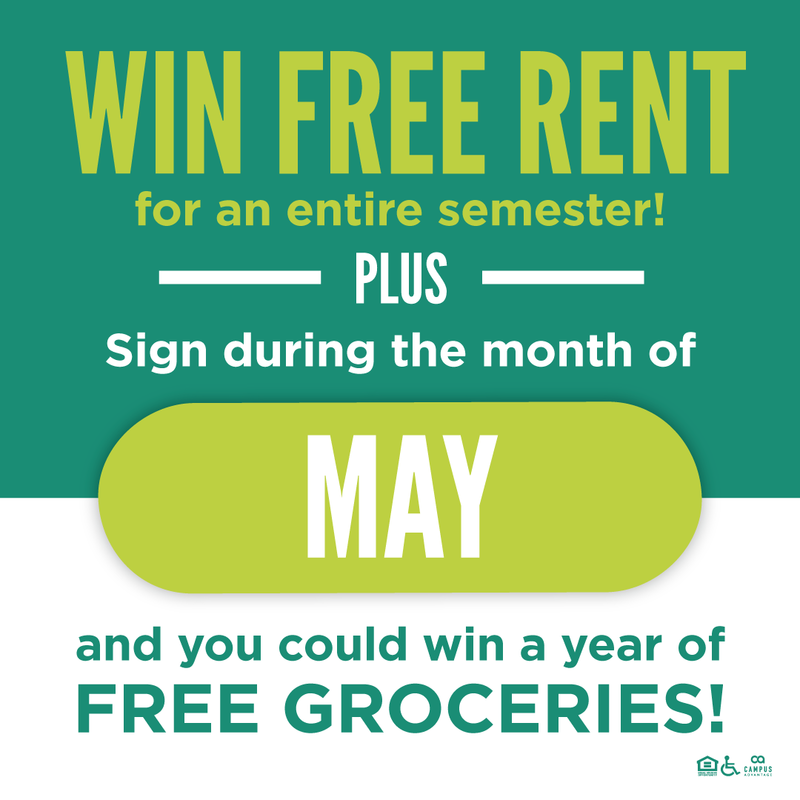 Sweepstakes begins 4/1/18 and ends 7/7/18. Open to legal residents of the 50 United States and DC that are the age of majority in the applicable jurisdiction of residence. Odds of winning depend on number of eligible entries received. See Official Rules for entry methods, prize descriptions, and complete details, which are available at the property office. Sponsor: Campus Advantage. Void where prohibited.